This post is not only one of ‘mini’ reviews, as in very short ones. It’s also about mini books. Small ones. Especially short poetry collections, short stories, comics/humorous books, children’s picture books. I read a couple of these every once in a while, and I’d love to review them on my blog, too – I just always find them too short to make an individual blog post. That’s why I decided to create this post (and hopefully a lot more to come), to share my thoughts on these little, not so complex books, too. These are the books you can read through in your lunch time, or while drinking one coffee or tea, when you have a little pause in your day. They can make your day, but if they don’t, no big deal – they don’t take so much time from your life that it would make you angry. 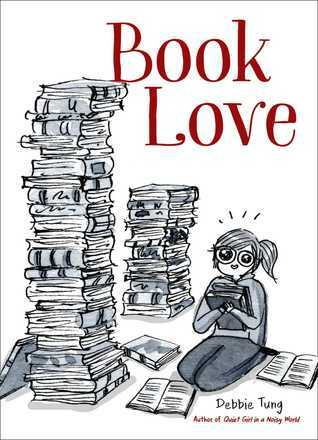 This is a very sweet comic book about book lovers that I think is very relatable for everyone who’s an avid reader. It took very little time to get through it, and I enjoyed it, though I wasn’t out-of-my-mind-enthusiastic like I first thought. The reason is that I expected something funny, I think. And I don’t say it wasn’t at all, but it wasn’t laugh-out-loud funny. It’s more like a ‘touché, I do this all the time!’ kind of funny. Which isn’t a problem, it’s just not completely what I expected. That being said, I could relate to most of the bookish quirks illustrated – some more than the others, but even those that weren’t so adequate for me I could imagine for other enthusiastic readers they are. This little book can be a very good gift if given to the right person. I actually have a friend I’m thinking of buying it for. I gave this book 4 stars according to NetGalley’s rating system: as in yes, I recommend it. To be honest, I don’t know what I expected from this little book of jokes. 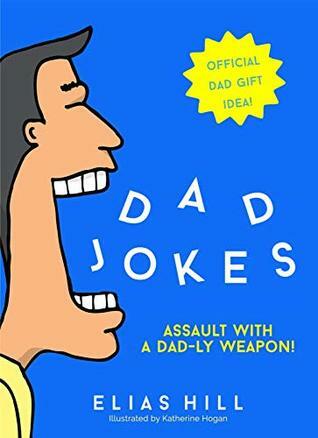 I know that a so-called ‘dad joke’ is not supposed to be actually funny, but rather cringe-worthy – that’s not the problem. I knew what I was getting into. The fact is, I usually actually laugh at many dad jokes, because they’re so bad they’re good. There are those jokes that aren’t really funny, but they make your brain ache, they make you tired, they make you feel actual physical pain…so you have no other way to deal with them but to hysterically laugh out loud. That possibly hit the one who told them. Well, I think those are what I was more or less expecting, and I feel like that’s not what I got. They weren’t..bad. For dad jokes, I mean. Some were more creative, some were less, some worked, some didn’t… at least, for me. This little book kind of entertained me, but not as much as it’s promised. Most of the jokes weren’t good enough to laugh at them, but they weren’t bad enough to make me groan, either. I can still imagine there would be people who would like it, and it would be a funny gift to give them. I gave this book 3 stars according to NetGalley’s rating system, as in maybe I recommend it. I got this book from BooksGoSocial and NetGalley in exchange for my honest review. This book can be downloaded for free from the author’s site if you sign up for his newsletter. It’s a short story and I’d wanted to read it ever since I read Book I in the series (so far this is the only one published, and I SO want the sequel!). I loved that one very much. This little book was not as impressive as the ‘real’ one, and though I liked it pretty much, I’d only recommend it if you already read the book. I think. It is beautifully written, and gives a bit more of a historical background (I know that’s what several people felt like lacked in Book I) and also we get deeper into the connection and camaraderie between Adeena and her grandmother. I loved these, and I enjoyed this short story, it’s a very nice add-in to the book.